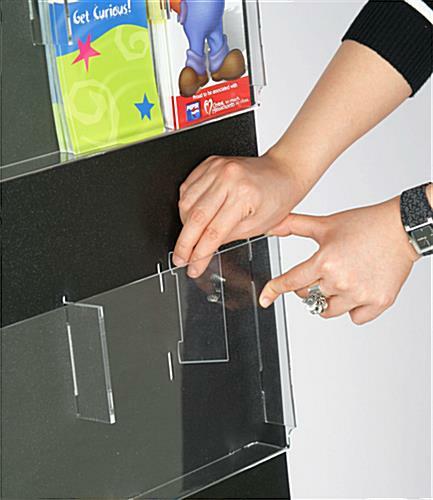 Comes with Insertable Dividers for Varied Sizes! 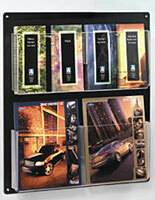 Decorative Black Backer for Contemporary Flair! 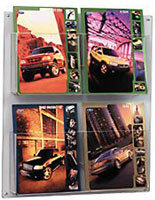 See-Through Panels for Easy Viewing! 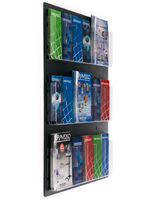 This hanging brochure rack features an adjustable 12-24 slot system that holds all manner of newsletters and trifolds for business promotion. 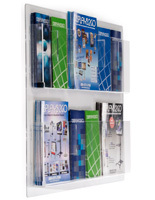 This magazine stand gets mounted to a wall, keeping floor and counter space open for merchandise and foot traffic. 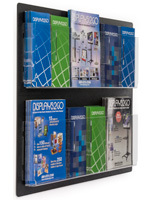 This brochure rack, also known as a literature display, is clear acrylic so reading materials can be seen from a distance. 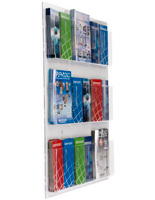 This fixture is shipped with hardware including peg dividers to configure the pockets smaller or larger, depending on the size of the publications. 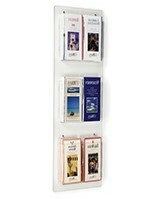 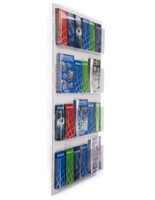 This brochure rack that is a publications display, like most plastic alternatives to wood, is super-affordable!